For Galassi, Riva was the selling point of the Ferretti Group when he joined as CEO in 2014. But it was in need of a revival. “When I joined, the brand was under a little bit of dust", he said. 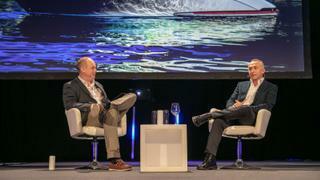 "The fleet was fantastic - some boats like the Aquariva were so iconic and didn't need to change - but it needed a new product range. People change and styles change but you have to be able to attract new customers while keeping to the basics." He believed this was fundamental in maintaining customer interest in the brand. In the past four years Riva has launched 11 new models, including the 110 Dolce Vita last year and the Riva 100 Corsaro in 2017, while its biggest yacht to-date is currently under construction in Ancona, Italy. The Riva 50MT is due to launch in June 2019 and will become the brand's new flagship. Announced at the 2015 Monaco Yacht Show, this 50 metre steel yacht will be first born of the new Riva Superyachts Division and was designed by Officina Italiana Design with CRN developing the naval architecture. Galassi explained the biggest inspiration behind the Riva 50MT was Carlo Riva himself. “When I was appointed CEO I went to Carlo Riva and said, 'What do you think we should we do with this brand?' He said to go back to basics. He said, 'Go back to the origins of Riva, make it nice, and go back to steel.' I said 'Steel?' 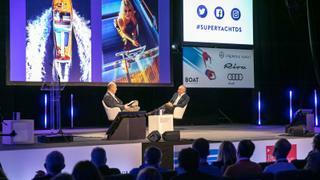 He said 'Alberto, now in Italy we have the best shipyards so we can do it, we can compete. Bring it back and make it sail.'" For Galassi, it was important that new yachts would retain the DNA that makes them recognisably Riva. “Take Ferraris, for example, Ferraris of today are completely different to the Ferraris of the sixties, but they always keep some familiar details”. The Riva 50MT is reminiscent of classic Carlo Riva motor yachts, inspired by the Carvelle line from the 1960s and 70s, but it's the Mahogany detail in the interior that keeps that Riva familiarity. The Riva 50MT, however, is just the first step in Riva’s expansion into bigger yachts. The Riva Superyacht Divison will offer two different lines in three sizes: 50 metres, 70 metres and 90 metres. The first line draws on inspiration from Carlo Riva's 1960s classics, while the second line will be characterised by a “sporty” feel. 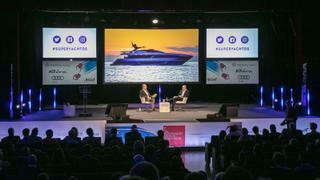 Missed the Superyacht Design Symposium? Click here to catch up on the top talks with our SDS podcasts.